Advanced is an accredited company! About HBMA – Healthcare Business Management Association HBMA - www.hbma.org was formed in 1993 by a core group of individuals who had a vision of a forum, rich in resources, to guide their collective efforts towards a highly professional image within the medical community. Roxanne is an active member in the HBMA and serves on several committees to further the association in it’s efforts to stay current on the issues facing providers today. She is also on the Board of Directors for 2018. 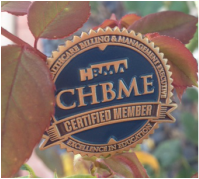 CHBME Certification through HBMA is committed to the development and delivery of the highest quality educational program in the industry. As the professionals in the third party medical billing industry continue to strive for excellence, HBMA offers the opportunity for its Members to participate in the Certified Healthcare Business Management Executive (CHBME) Program, aimed at demonstrating to your peers - and most of all, your current and prospective clients - that you are dedicated to continuing professional education in this fast-changing, challenging industry. This rigorous program not only enhances the healthcare billing and management industry's image within the wider healthcare community, but it also offers HBMA members an additional way to differentiate themselves from other billers, boosting their edge in this increasingly competitive field.The Certified Healthcare Business Management Executive (CHBME) is designed for owners, senior management and compliance professionals of HBMA Member Companies. Participants in the CHBME Program have 3 years to earn the CEU's necessary to re-certify. 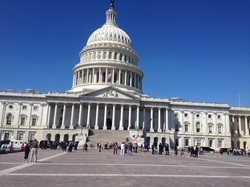 HBMA offers a variety of educational programs annually that offer credit toward this program.